A question we get weekly is “Coach, how do I improve my mental toughness, my mental strength?”. The answer can be found in elite athletes. Want to know the #1 difference between the rest of the world and athletes like Lebron James, Usain Bolt, Aaron Rodgers and Tom Brady? It is not completely their athletic gifts. It is their mental toughness that caps it off. When the game is on the line all of these athletes seem to rise above the norm and perform at an extraordinary level. Mental toughness is their secret. Check out these tips to condition your mental muscle and improve your game like a champion. It is hard for us to focus on the present. With so much chaos going on around us it is easy to see how we could forget our own names. Cell phones, texting, traffic, earthquakes, tsunamis and nuclear disasters. You name it – there is crazy stuff happening all around us and it is tough to stay centered and focused. So how can we stay focused? By only focusing on taking the next step. Then take the next step and the next. Dont think about what is going to happen in 20 minutes. Or what happened in your past. Only focus on the present and taking that next step (or next putt or next free throw or next hand off with the football). The number one job of a quarterback is not to pass the ball – it is to protect the ball. So what happens when a quarterback fumbles the ball in a big time game like the Super Bowl and the opposing team goes up by 6 points? A great quarterback that has made a mistake needs to have a short memory. Meaning they need to learn from the mistake and forget the past and move on. A great quarterback like Peyton Manning or Tom Brady will not dwell on the past mistake or let it shadow them. They move on. You must do the same. Learn to let go and move on quickly so that you can achieve your goal. It is easy to become negative when a tough situation arises. If left to our own devices our brains will seek the easy way out and sometimes that means flight – instead of fight. A warrior who has command of their mind will take control of the situation. Mentally practicing the ability to drive out the negative and reinforce with the positive is an acquired skill. You can work on every day with tough physical workouts or being exposed to arduous conditions (swimming in cold water, running in heat). The easiest and best method is to control your thoughts. It takes 21 days to form a habit so start now and write down all negative thoughts you have in the day. On the next day begin to get rid of those negative thoughts and one by one replace them with positive ones. This is a great start to a new mind set. Everyone has a ritual. We get up in the morning on the same side of the bed and brush our teeth. We get a cup of coffee and read the news on our Ipad (or newspaper). We go to the gym and workout and then go to work. We all have a ritual. Some rituals are good – some are bad. Top championship athletes also have rituals. Michael Jordan goes to the basketball court every day and shoots 1000 free throws. Tiger Woods putts for hours and hits 1000’s of golf balls. Herschel Walker does 1000 pushups every morning. They all have a ritual that has conditioning them to be tougher than the average athlete. Yes; there is athleticism involved in shooting 1000 free throws but Michael’s mind has made him perform this task daily to condition himself for future success. Currently, I compete in the Masters division of CrossFit competitions. It may be one of the hardest things I have ever done. At my age I could go sit on the couch on a Saturday and know one would give me crap. But I want to progress and become a better athlete and warrior. So I go to battle on Saturdays. It is hard to keep your chin up in such awful conditions of heat and hardship while dragging tires on 100 degree Georgia asphalt. But I love to compete. I tell myself I love to compete – and I have grown to learn to love and enjoy the middle of the battle as much as the finish. Telling yourself that you love the battle is a start. Over time as you grow accustomed to this thinking you can embrace it on a more wholistic manner. But start out by telling yourself you are enjoying this tough competition and force yourself to “smile” inwardly. You can feel the paradigm shift right in that moment. It works. I dare you to try it. Thats right — get a mental picture of how you want to be in your future self. In order to get through this current tough workout or hardship you have to not only survive – but thrive. Think of your future self and how it will feel to stand on the podium with a medal draped around your neck. Think about the cool breeze flowing against your skin and you hearing the crowd cheering in the background. Use details to create a positively charged emotion that your mind will connect with. It has been said that if your going through Hell – dont stop. So keep on driving through the tough stuff and use this clear mental picture of what you will be and what you will look like at the finish. Very powerful stuff. Mental visualization is key. Before the Championship game – athletes like Michael Jordan rehearse the winning shot, playing it over and over in their mind as they practice and shoot baskets. Michael Jordan pictures himself cutting down the basket from the winning game. Tiger Woods see’s himself putting on the green jacket at Augusta Nationals. What do you visualize that you will put in your mind to help carry you through the rough and bumpy road? If your wanting to get great at basketball do you go down to the local playground and go for a pick up game with some first graders? Or do you go downtown to the courts where the big boys hang out and jump in the game? Do you head to the gym on a Friday afternoon or do you head out to the local bar for Miller Time with Joe and the boys? To get better – you have to workout with (and hang around) those that are at or above a level you want to be at. To get mentally tough you have to do the same. Get in an environment where only the tough survive and you will see your mental conditioning rise after the first day. Metal sharpens metal. So get tough by getting next to those athletes at the next level. Mental affirmations are a great method. Repeating words in your mind to help you focus on a task is an excellent way to cast off the extra chaos. It is harder for negative thoughts to enter your mind while you are chanting “I am a winner”, “I’m an overcomer”. Come up with a few affirmations. Write them down and use them when your out on your next 5k run or weight workout. You will be surprised how well they keep you on track, focused and keeping negative thoughts in the far back of your mind. You can create discipline by reading every night. Reading a good book is a form of ritual but it also helps to put great things into your mind. Most people go to sleep watching all of the violence and no good on the evening news at 11. Try reading 10 pages of a good book every night. A good book to help build your mind is “Lone Survivor: The Eyewitness Account of Operation Redwing and the Lost Heroes of SEAL Team 10 ” by Marcus Luttrell. Reading every night will build consistency and ritual in your life. It will also help to build mental muscle that you can use in your next tough workout. What do Lebron James, Usain Bolt and Herschel Walker all know about Mental Toughness? Have you noticed that the top championships are calm during the toughest of situations? They have learned to calm themselves through conditioning to be ready for the unexpected. Yoga and meditation are excellent methods to calm your mind and body. Stretching and long distance running are also great exercises. The key is to find the method that works for you and begin to incorporate that activity into your weekly routine (remember ritual?). For me – it is trail running, so I make sure to add this in to my weekly schedule to help me cruise at a higher level and to remain tough when the situation turns south. 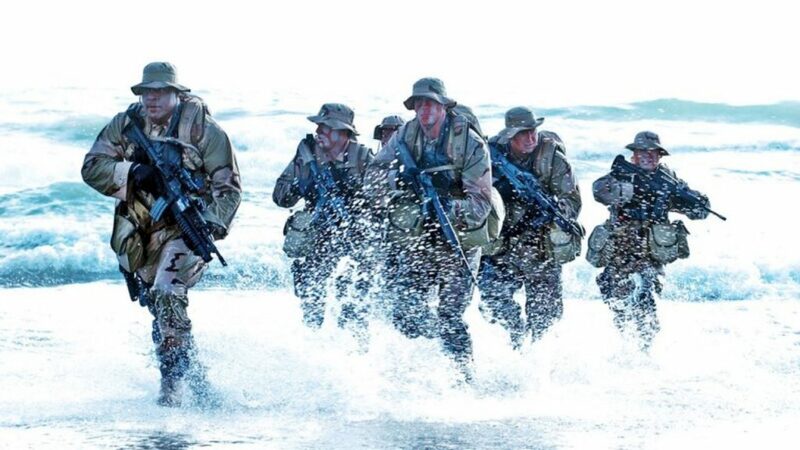 Question: What do the SEALs use to make them so mentally strong?”. The simple answer is they are tested at a high physical level which makes them tap into their mental resources to survive. Those that are not able to do this quit or fail out. Question: What are some drills for mental toughness? I would say to write down small obtainable goals and work towards them. While you are in this motion – use the visualization and affirmations. Control your breathing. These are all great drills to do to help you progress. 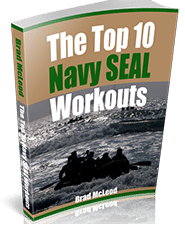 Question: What is one of the toughest tests for Navy SEALs? There are many tough test so it may be hard to say one single test. Hell Week is the toughest big test. 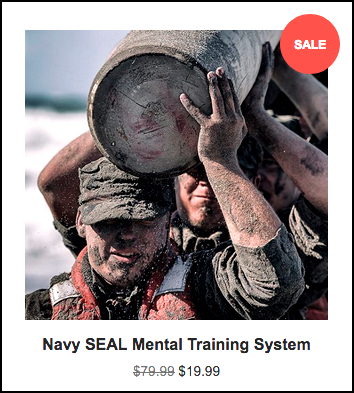 Question: Where can I get the navy seals training guide mental toughness pdf? Sign up for our newsletter and we will send you our Ebook report. Question: Hey Coach Brad, I hardly know you, but I think you would be able to respond to me with alacrity. What do you do to flip the switch when you are felling REALLY burnt out.? And, I know it’s 90% mental. Answer: I think about the goal and what my “why” is to complete. That flips the switch for me. If you have any questions on mental conditioning and toughness or would like to be coached in mental conditioning techniques – please email brad@sealgrinderpt.com. 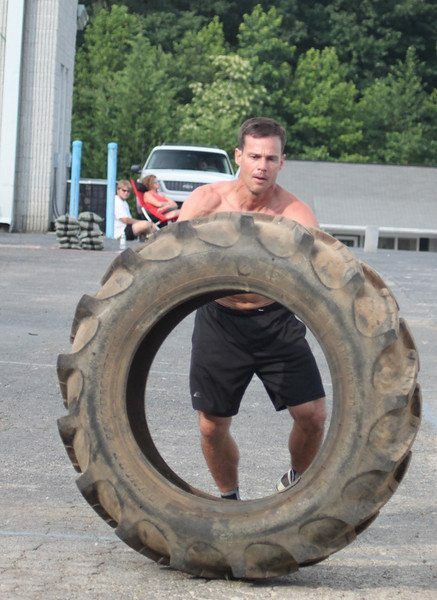 Brad McLeod is one of the top mental conditioning coaches in the world- as he helps athletes to learn mental conditioning and toughness skills to apply to their sports. 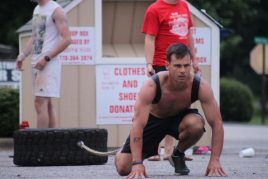 Brad is the founder of SEALgrinderPT.com and can provide you with custom workouts and programs to increase your strength, flexibility, lower your running times and increase speed and work on mental conditioning and toughness. For more info check out www.sealgrinderpt.com/coaching/ and contact SEALgrinderPT at brad@sealgrinderpt.com to get started today. Really enjoyed reading. Getting ready for my GRC – and I think I will be revisiting this information frequently. Thanks! I just want to say, I read this about every other day. After I sent you that email about my goals and you sent me this, I truly understand what you were coming from when you said “have a bigger goal.” Along with this and the audio you sent me, I’ve came along way since I’ve been doing this winter training. It’s hard on me, but I push through further than I did before! Thank you! I am a UCLA undergraduate student and even though I am not going through physically rigorous training everyday the need for mental toughness is still there. I appreciate the guidelines that you have given and I look forward to being the stronger and tougher me. Hey Coach McLeod, I’m working towards BUD/S and the SEAL Teams. However in all my research I can only find about mental and physical toughness needed for the job. I’m more concerned about the smarts for it. My dad was in the navy and had the opportunity to train in various course with them and he always tells of above all else they were the smartest guys around. They learned something then they made sure they never forgot. I’m looking for advice on how I can work on that side of my training. Good to hear from you Thomas. Start with the tips we have posted above. Listen to the audio I sent you. Slowly work your way up doing crucible events like the Spartan sprint, GORUCK, Tough Mudder and continue to build your mental resolve. Read as many books as you can about great athletes and adventurers who have pushed forward and developed mental toughness. Awesome thanks for the reply. I’ll get started! is there a way i can develop strong mental toughness during my workouts and also any other daily things to increase my mental toughness? Check out all of the tips above. Are you testing yourself regularly with tough crucible events like the GORUCK or Spartan races? I’m a senior in high school and I’m running cross country to get ready for bud/s and the only problem I have is getting past the mental wall when running. Like when I’m running in practice or a meet the only reason I start to walk is because in my head I don’t want to run anymore so I stop. It isn’t because I’m tired it’s that I don’t want to do it anymore. Got any tips on how to get over that wall? Check out the tips on this page. One quick tip is to think of how you will feel when you complete the run or even win a race. By thinking of winning – you cannot think of stopping/quitting. On point!!! I trained for boxing many moons. In hindsight, this is accurate. I’m not on TV cuz I think I overtrained. Could never stay healthy. This was definitely the mentality tho.could u spot me some insight bout ovwrtatining big dawg? My itch can’t be scratched with this life. Hi I’m 45 so I can’t b a seal, but when I was 13 I was n a coma for 3 months… All through my rehab & recovery i knew I had the seal way so i thought i could bc 1 one day… I still have a great deal of fortitude & / will power 2 finish job..